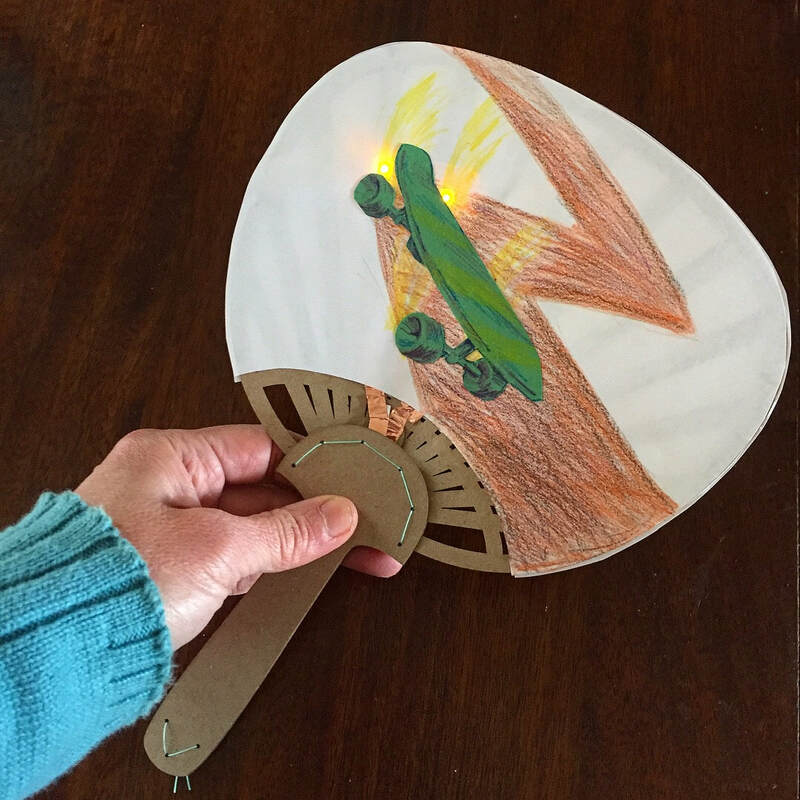 How would you design a fan to represent you? 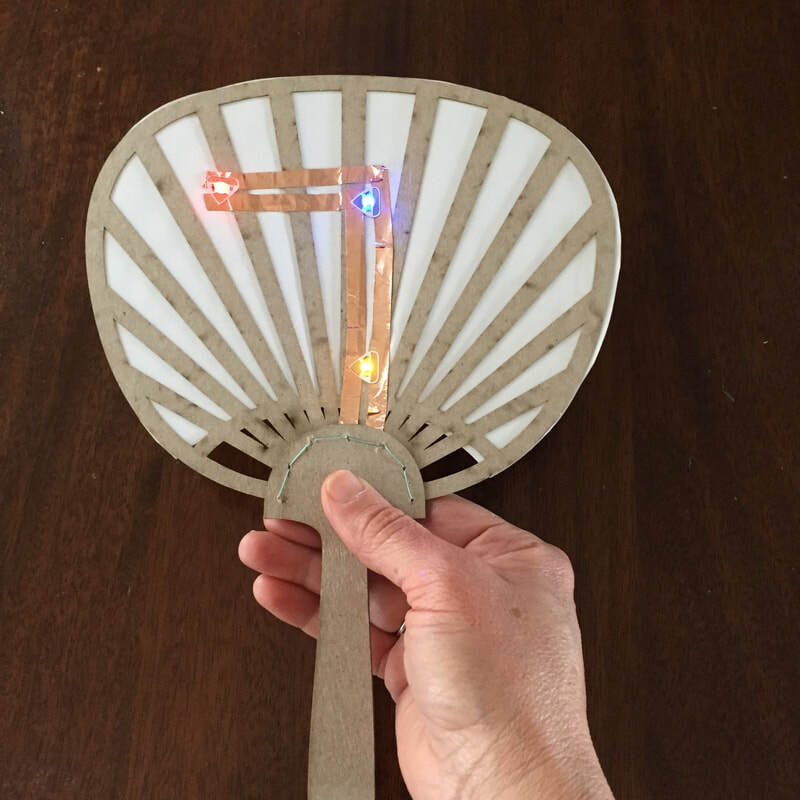 Come light-up your ideas in a paper circuitry project! 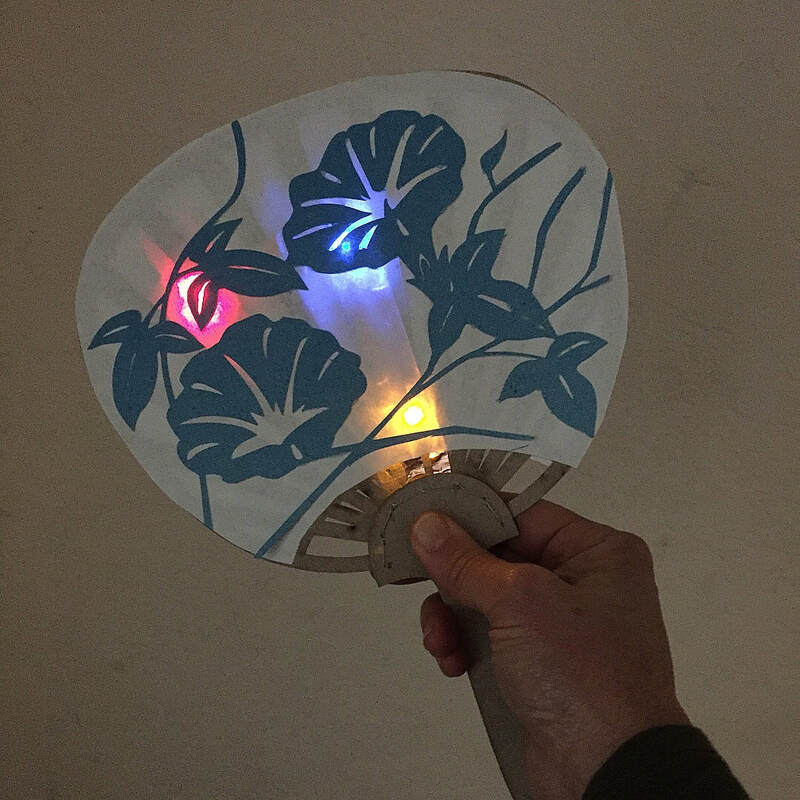 The Uchiwa Light-Up Dance Fan workshops invite the San Jose public to create illuminated patterns and designs that reflect their personal interests and cultures. Workshops will result in fans you can bring with you to, or make at Japantown Immersive in San Jose on May 12th, 2018. This Okada Design project is made possible through a John S. and James L. Knight Foundation Grant and with fiscal sponsorship by Alum Rock Educational Foundation (AREF). Thank you to Chibitronics for their in-kind support. Thank you to San Jose Taiko for including this workshop in their Japantown Immersive event programming. 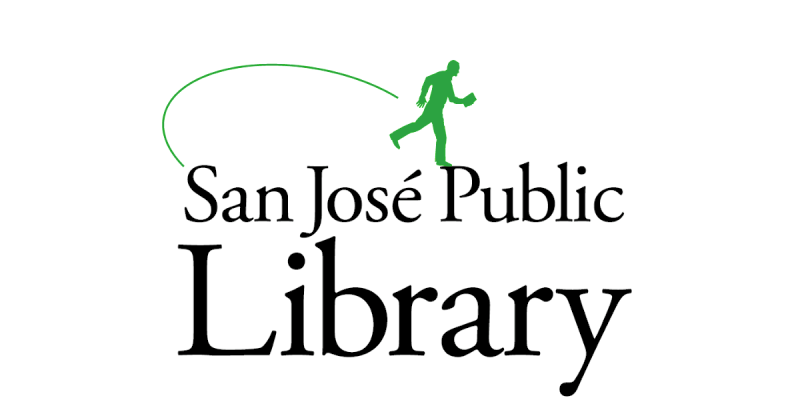 Thank you to the San Jose Public Library, Burnett Middle School and the AREF for including these workshops in their programming.